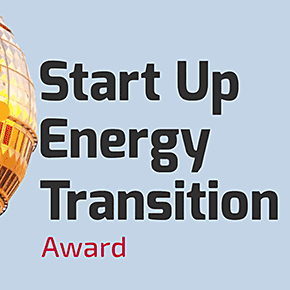 The Start Up Energy Transition Award is an international competition for start-ups and young companies worldwide who are working on ideas affecting global energy transition and climate change. There are five different categories applicants can present their projects in, all with the aim of clean energy promotion. The three most promising start-ups in each category will pitch their business ideas at our annual summit – the SET Tech Festival. In the third round of the SET Award, five categories that reflect the critical issues facing innovation needed for the energy transition globally have been identified which contribute significantly to sustainable development. How is your innovation responding to the global energy transition challenge? No matter how far you go into the SET process, you always benefit! From the possibility of showcasing your innovation at the World Energy Congress in Abu Dhabi, to joining energy leaders, partners and investors in Berlin, to connecting with the global platform of innovation leaders and the wider World Energy Council network and community of influencers, you won’t want to miss this opportunity!